Well-known Talmudist of the seventeenth century. 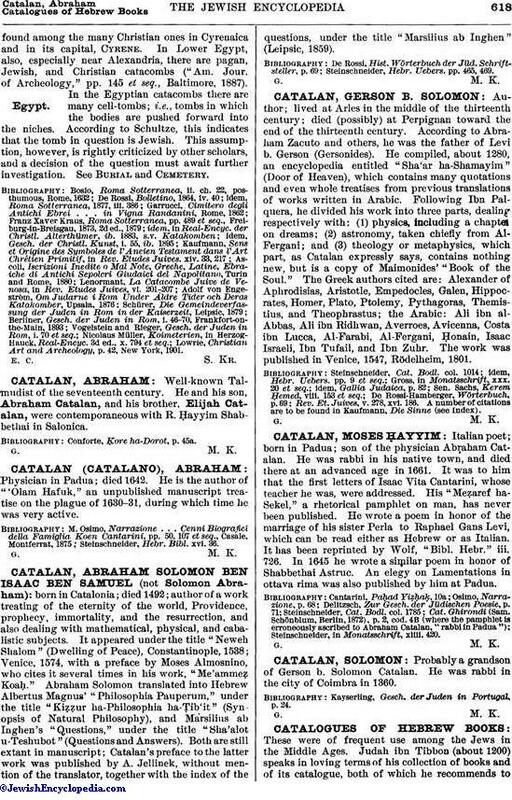 He and his son, Abraham Catalan, and his brother, Elijah Catalan, were contemporaneous with R. Ḥayyim Shabbethai in Salonica. Conforte, Ḳore ha-Dorot, p. 45a.